Home » » ‘Why we ban loudspeaker, dancing stage at Lagos Trade Fair’9. ‘Why we ban loudspeaker, dancing stage at Lagos Trade Fair’9. 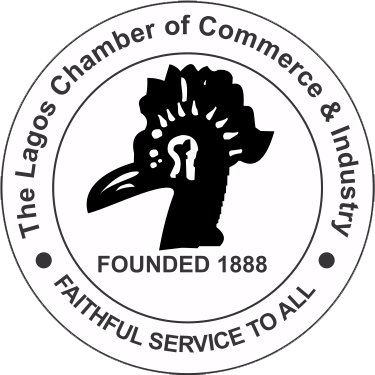 When the ban on the use of loudspeaker / dancing stage at the ongoing Lagos International Trade Fair was announced by Lagos Chamber of Commerce and Industry (LCCI) , people thought it was a joke. But in reality , it was not a joke. Some participants welcome the ban while others are not happy with it. In a special Interview with Daily Sun recently in Lagos, the Vice President & Chairman, Trade Promotion, Gabriel Idahosa, said it was generally accepted to ban the loudspeaker / dancing stages in this trade fair. He said it was the decision of the chamber only but the generality of other participants keyed into the decision. If you go round the fair, you will see that a large number of people are moving freely and are not having concerns as regards security.This is because there is a very high level of embedded security in all the arrangements. If you walk in through the gates , you will find the Special Operations People (OPMESA), the soldiers, the police, LASTMA, LASEC, wherever you go, you will see a visible presence of security and below this there is security that is not visible too. That is we have a lot of security arrangements that are not visible because they are designed like that. So the security situation is very tight here. People who tried doing something funny have learnt this. Loud speaker and dance stage banned why? Last year and the year before it a lot of exhibitors had said that they were here for business. They are here to reach customers and to find distributors and suppliers for their business. As at last year, you will find out that there were a lot of massive speakers and this caused a lot of noise that even people in the same tent could not communicate with each other because on the right and left there are speakers. What then happened was that a lot of people were competing in size of speakers and volume control. This warranted exhibitors coming to us to complain about the noise pollution , stating that it is greatly affecting their business that other places in the world do not conduct Trade Fair like this. So we said we cannot be telling people to control their volumes and we decided to take away the source of the noise by banning the use of loudspeakers. So loudspeakers and dace stages are not allowed on the fair ground. There have not been significant challenges compared to previous years where we had power supply problems such as generators breaking down and no power supply in some tents. Since we started this fair we have had essentially uninterrupted power supply, the only down time of power supply is when we want to switch over from one source of power to another. This is one relieve to exhibitors. So, in terms of challenges there are little things such as when exhibitors complain that he has not got his tag and this year we set up an exhibitor experience centre which is one of our innovations devoted 100 percent to exhibitors. So if they do not have tags, water I their stand or there is electrical problem, the exhibitor experience centre takes care of the issue. To this end, a lot of exhibitors said they have seen a lot of difference and improvement this year to their previous experiences. With this there is a significant reduction to exhibitors complains when compared to previous years. Nobody complains about noise or power supply amongst others. We expect that exhibitors get full value for their participation as well as our media partners. We want to create value for everyone at the fair by connecting businesses with one another, the media, exhibitors, the city of Lagos and every participant at the fair. It is a win-win for everyone. They would expand their business horizon through the development of new partnerships, new customers, feedback from their customers, and showcasing their products not just to the Nigerian market but also to the continental and global markets. We have done our best within the limits of prevailing constraints to put in place a befitting fair. In terms of traffic as we speak, there is a large number of LASTMA deployed to specific streets leading to trade fair. Specific officials are manning these streets to make sure there is no traffic.